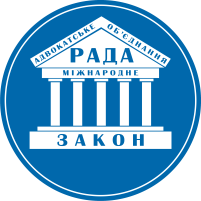 In 2012 the «RADA» advocate association united the successful and efficient lawyers-professionals in one team, who have many years of experience in legal practice in various fields of law, who protect and represent the customers’ interests, grant them comprehensive legal assistance in the resolution of their problems. resolution of disputes, court practice and mediation. all necessary conditions, which ensure the modern and information and technical level of advocacy, improvement of professional skills of each lawyer and sharing gained experience. The AA «RADA» is ready to cooperate with law societies, lawyers and legal practitioners, as well as open to new members.